How do I buy a Soccer Shots Franchise? Do you want to make a difference AND be a part of a successful, proven business model? Work for yourself? Blend your passion with your career? Then owning a Soccer Shots franchise may be right for you. 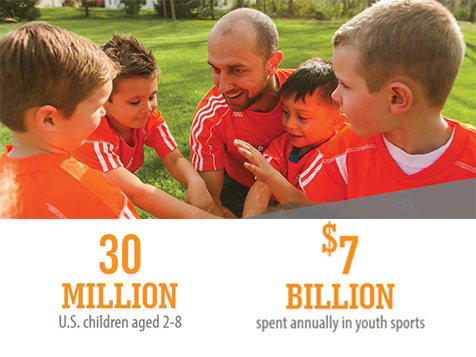 Over 330,000 children enrolled in Soccer Shots last year. Learn more about you how can become a part of the #1 children's fitness franchise ranked by Entrepreneur Magazine. Open Soccer Shots in any of these available states: AL, AK, AZ, AR, CO, CT, DE, GA, HI, ID, IL, IN, IA, KS, KY, LA, ME, MD, MA, MI, MN, MS, MO, MT, NE, NV, NH, NJ, NM, NY, ND, OK, OR, PA, RI, SC, SD, TN, UT, VT, VA, WA, WV, WI, WY, DC. 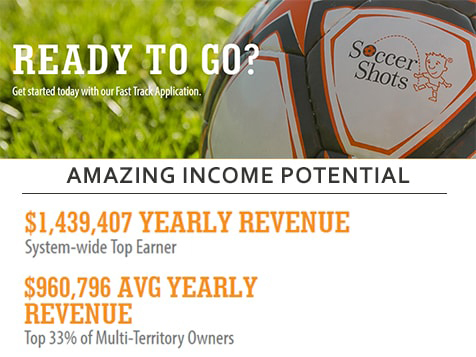 If you have a love for soccer and want to make a difference in your community, become a Soccer Shots franchise owner. 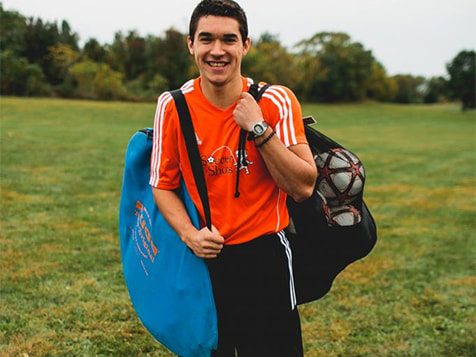 Soccer Shots is a coaching franchise for children ages 2-8. You have two options when it comes to owning a Soccer Shots franchise; you can become an Owner/Operator or an Executive Owner. An Owner/Operator has their hands directly in the business and participates in the operation of the business. Executive Owners typically focus on the vision and long term planning for the business, and leaves the day-to-day operations to hired team members. Coach or recruit coaches to run 10-15 classes per week. It will be up to you to determine how many employees need to be hired in order to meet the demand. 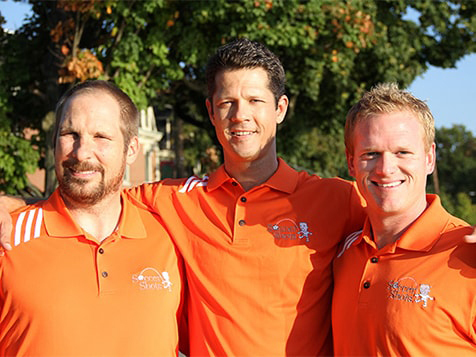 Find out what it's like to be a Soccer Shots franchisee. Soccer Shots is not currently active in our directory, but here are some other recommended selections for you to explore.